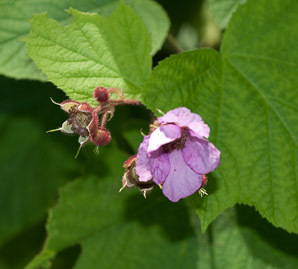 Purple-flowering raspberry is native to eastern North America, where it inhabits moist thickets. Plants: Purple-flowering raspberries are deciduous shrubs 3-6' (91-182 cm) high and 3-5' (91-152 cm) wide. 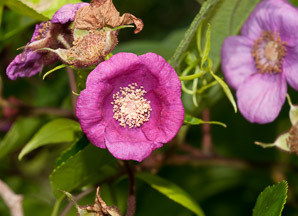 Young branches have many fine thorns, while older woody branches do not. Instead, they have bark that peels easily. 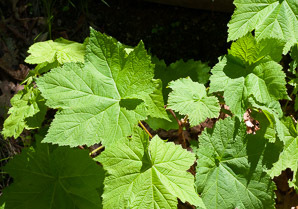 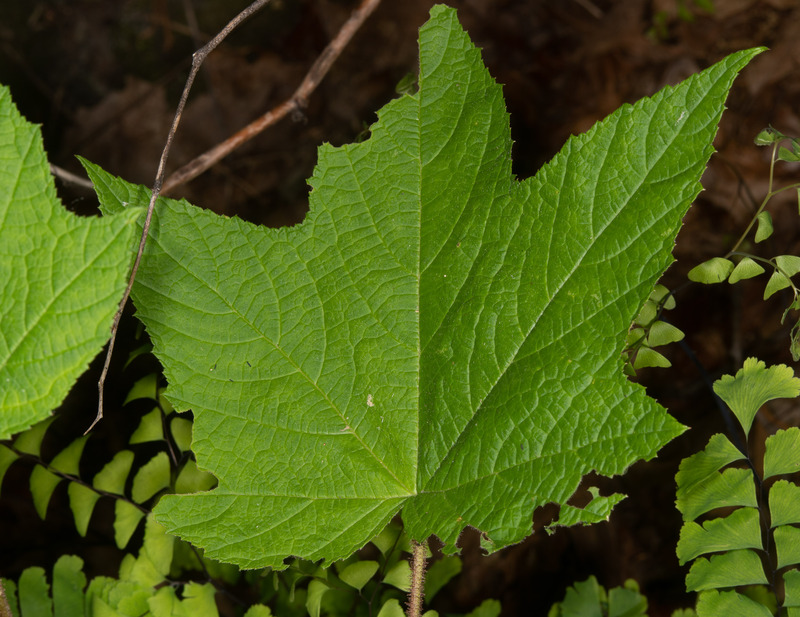 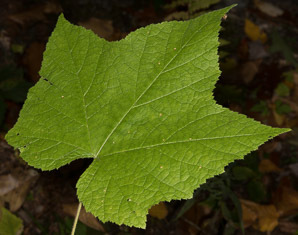 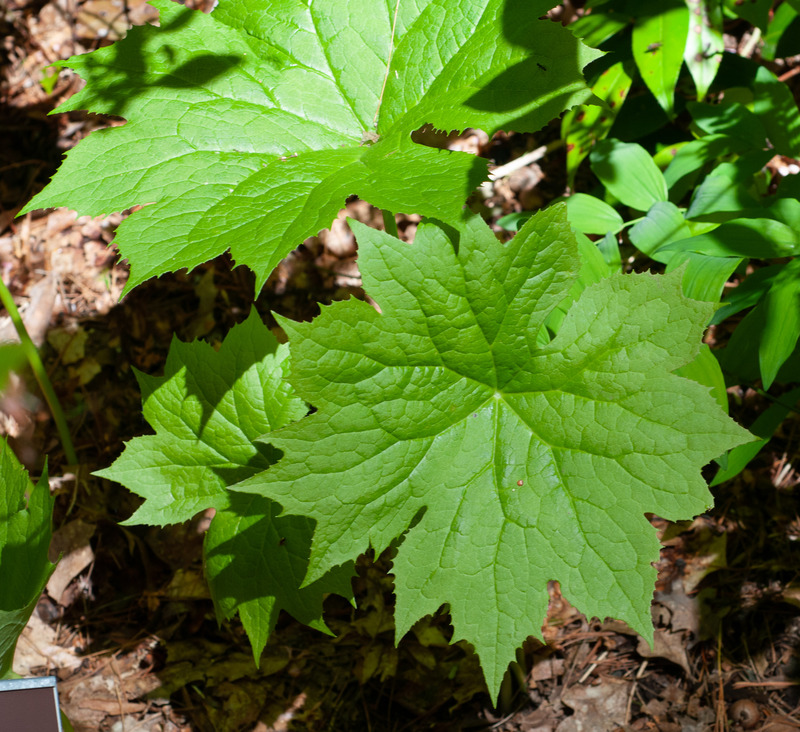 Leaves: Large palmate leaves to 10" (25 cm) around typically have five lobes (sometimes 3 or 7), resembling maple leaves, significantly different from raspberry or blackberry leaves. Flowers: Purplish-pink flowers are up to 1-2" (2.5-5 cm) across, with five rounded, partially overlapping pink petals and a yellow center. Fruits: Fruits look much like raspberries, a group of closely spaced round berries, but the group is shaped more like a dome than a thimble. 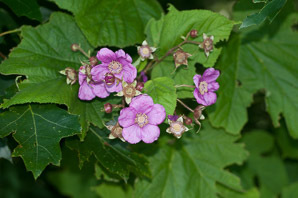 The attractive purple flowers, large maple-like leaves and dome-shaped berries are all good identifiers for this species. 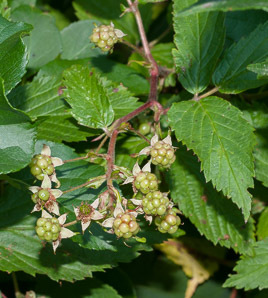 Edibility: Berries are edible, fairly tart, with good flavor, but extremely seedy. 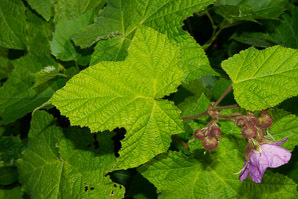 Used for wine, and in pies, jellies, and preserves. 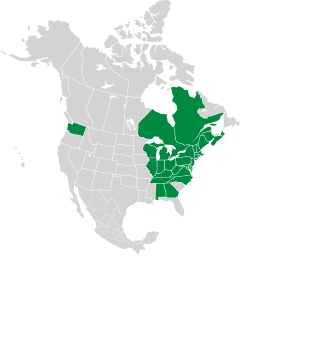 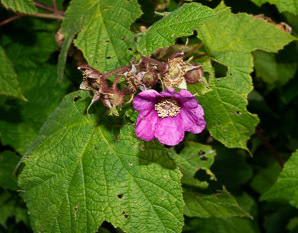 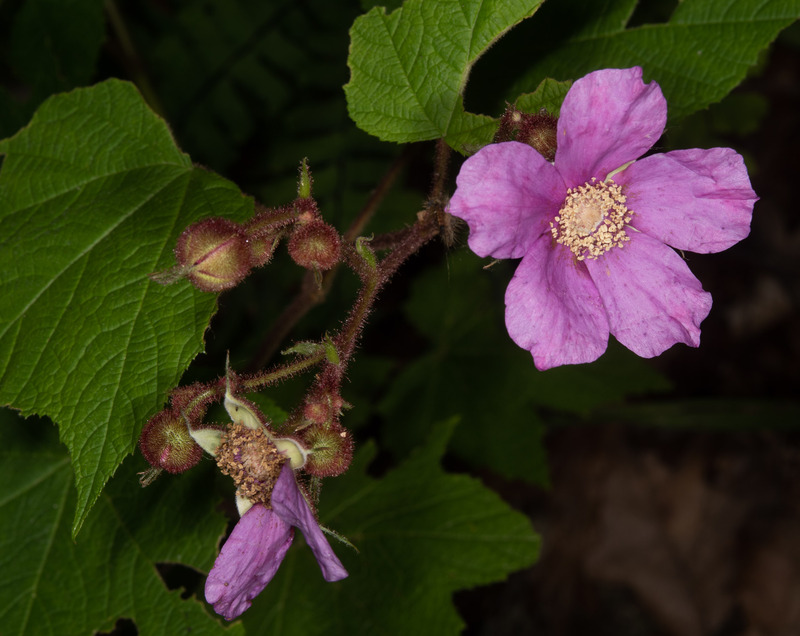 Rubus odoratus description by Thomas H. Kent, last updated 2 Jan 2019.